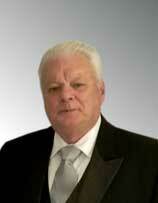 John has over 20 years of property management and commercial building experience. He has represented several major corporations in providing warehousing and distribution services both in domestic and international requirements. He is presently a member of NAIOP, USGBC, NAR and New York State Commercial Association of Realtors. John is also NYS Part 36 eligible Receiver, Property Manager an Associate Real Estate Broker and a member of the Tioga County Planning Board and New York Planning Federation. Over the past 8 years, John was responsible for 33 properties of various types including leasing, maintenance, tenant relations, code and regulatory compliances. Additionally, he obtained site approvals from Town, City and County governments on new construction, renovations and proposed use. John also acted as owner’s representative dealing with architects, contractors, NYSDEC, utility companies and building inspectors. John has managed two LEED Projects, one new construction which received a silver certification from USGBC, Green Building Council, and one O&M project. He also acted as the exclusive agent concerning buy/sell/lease transactions. John’s current focus is Industrial sales and leasing, site development, mixed site development, property management and receiverships covering the Southern Tier of New York and Northern Tier of Pennsylvania.